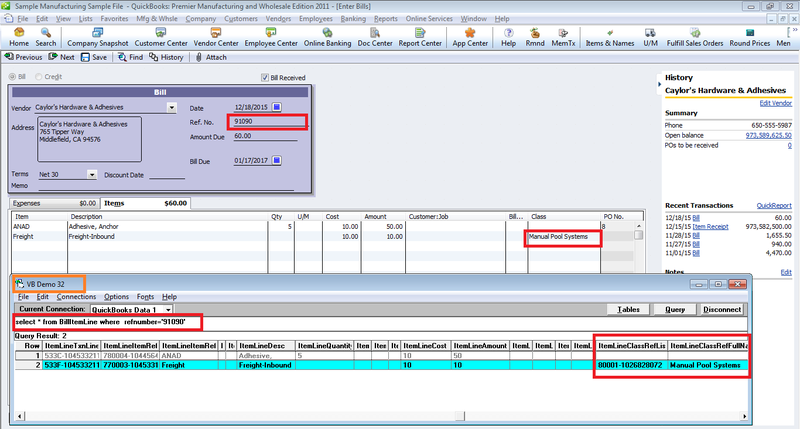 Table Transaction in QODBC shows summary information of all transaction. But it doesn't contain Class information. 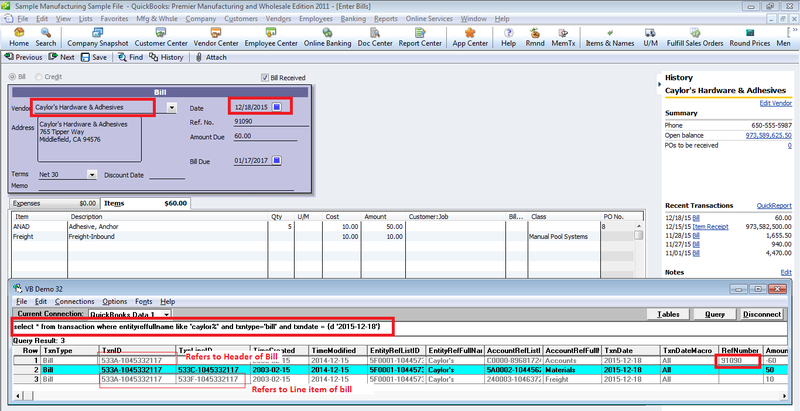 You could use TxnID field in Transaction table to link to table Bill and BillItemLine to get full information. Use Transaction.TxnID to link to Bill and BillItemLine Tables. 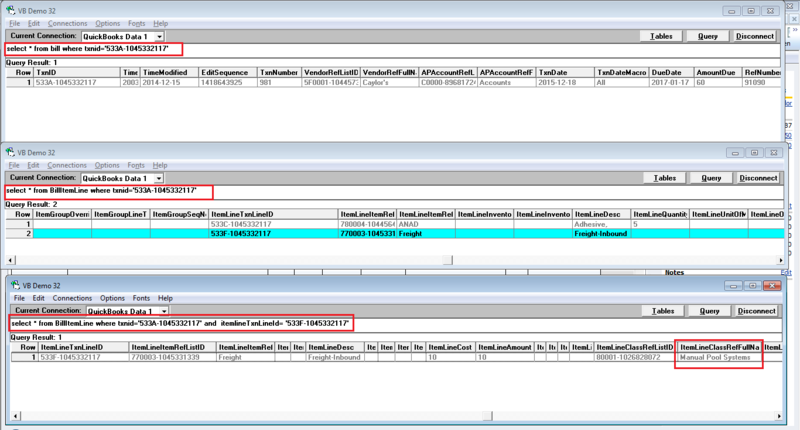 With the value of TxnID and TxnLineID, we could simply find the Bill header and line item record. We can find the related Class information via field ItemLineClassRefListID. This field directly links to the record in Class Table. Please note down the List ID in field ItemLineClassRefListID.